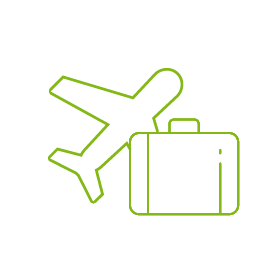 In a Loxone Smart Home, there are many ways to save on energy costs without having to put the extra effort to do it. 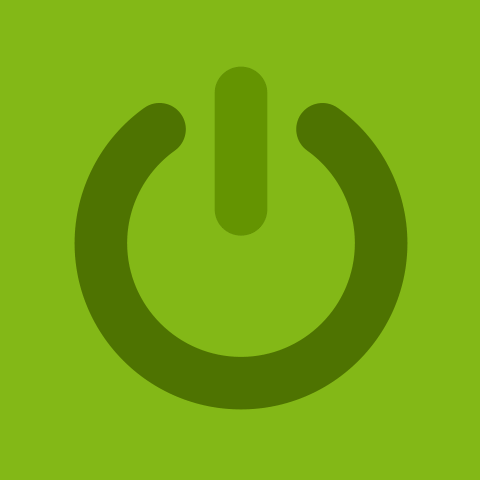 Starting with intelligent energy management, Loxone puts the brakes on high energy bills. The shading and lighting work in harmony. Heating and cooling schedules think for you. 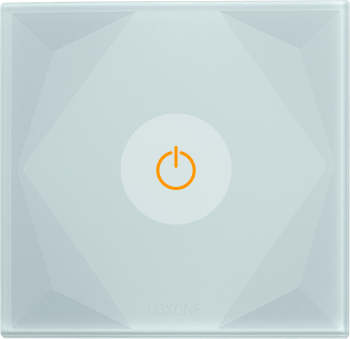 A Loxone Smart Home does it all for you. Find smart home tips and ideas in our new Welcome Home Magazine. In your home, the heat of the sun can be captured to bring the rooms to a comfortable temperature. In winter, the shading can work to harness the little warmth that there is. In the summer, the shading protects the home from overheating. Whether you have a fireplace, large windows, or use solar heat pumps, your rooms will be intelligently heated to reach the desired temperature while ensuring energy is not wasted. When leaving home, activate the “Away” mode. The garage door will close, lights and music in the whole house will go off, the TV will switch off and the alarm system will be activated. The self-produced energy in your home will be used efficiently whenever it is available. This allows you to do a load of laundry or use the dishwasher without it costing you anything. With your own private charging station, you can charge your electric car at no cost. 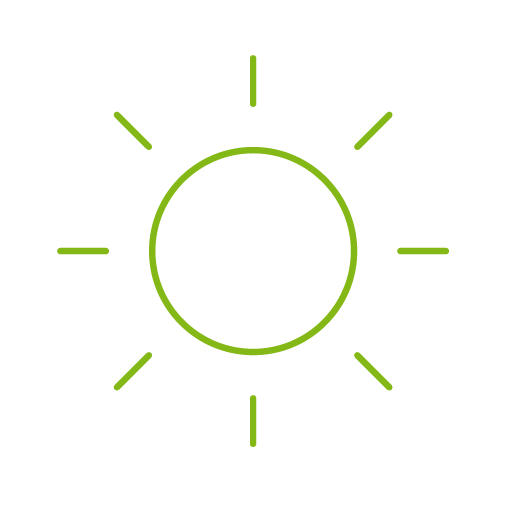 A Loxone Smart Home intelligently factors in the amount of solar energy being produced, the current electricity cost and the total usage load of the house when determining when it is best to direct energy to your car charger. You can set the charging current, the start time, when to pause charging, and have specific charging times so as to make use of favorable energy costs. 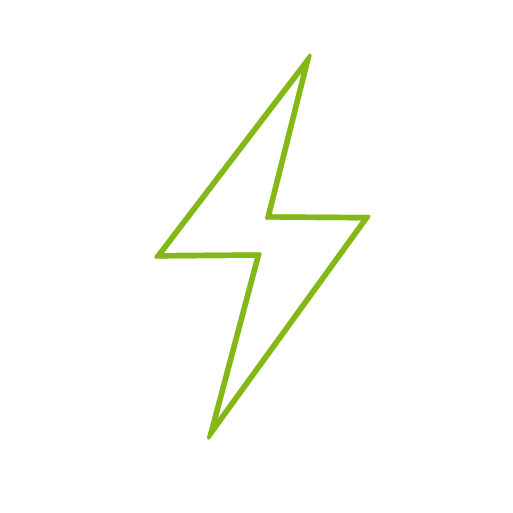 Charge your car using the energy that your PV system produces. Your smart home knows how much energy your home is using at any given time, protecting your home from overloading. 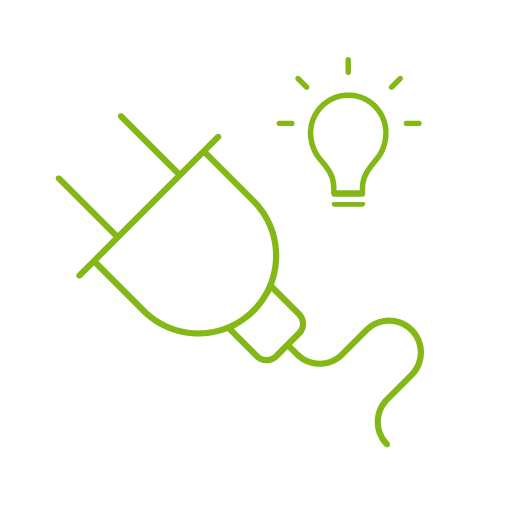 Have your home turn off unused appliances or devices and allocate that energy to your car charger instead. With your smartphone, you can always keep an eye on the charging process. 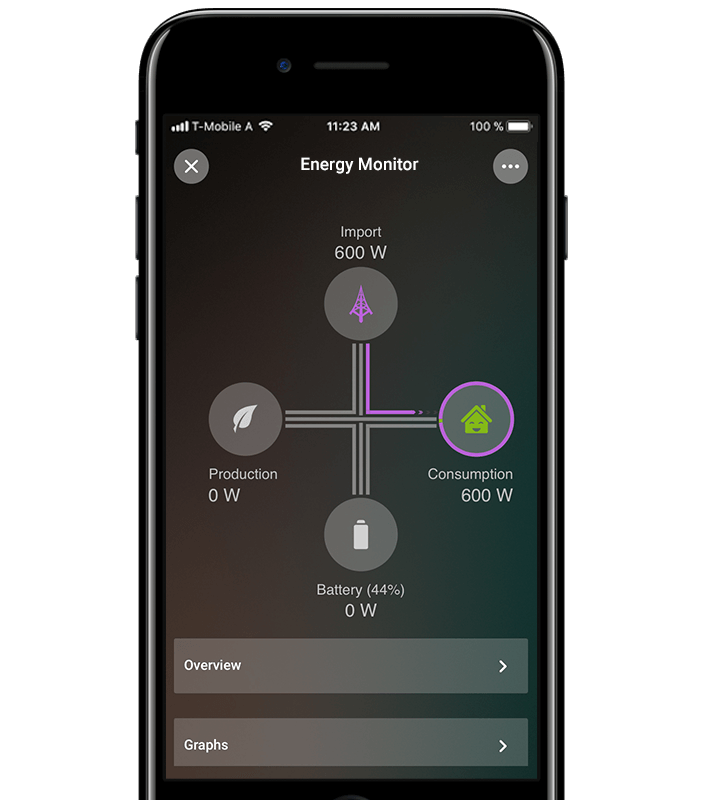 You can start it, set the charging current and analyze the charging process afterwards – all from the app.. 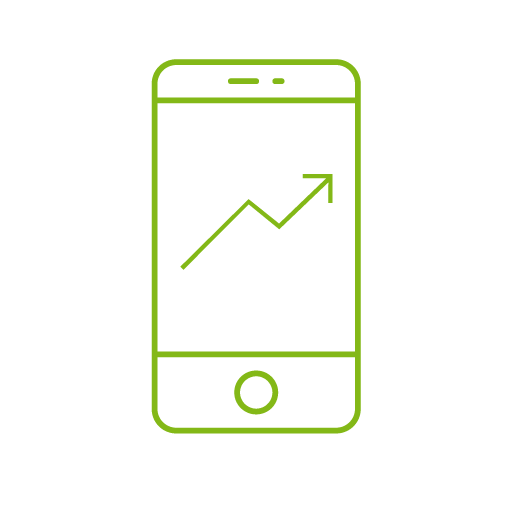 Check energy usage statistics with your smartphone at any time to help you discover ways to save energy around the home. 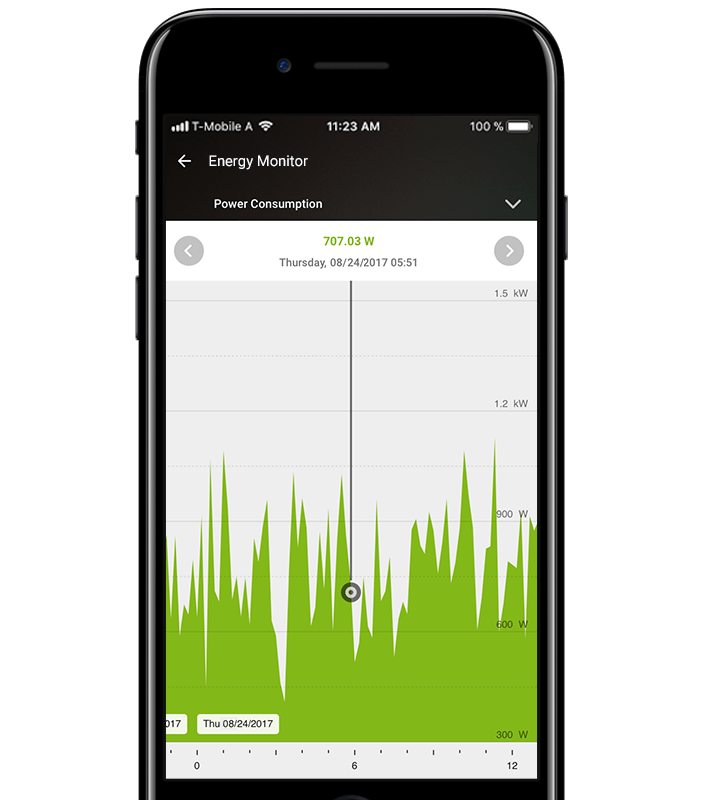 Your Loxone Smart Home intelligently monitors your home’s current electricity consumption as well as your electricity production. You can view this information directly from your smartphone at all times. Thanks to the individual room control and the heating and cooling schedules, you can reduce your energy costs. As you walk out of a room, double-tap a Touch switch to turn the room off – including lights, music and HVAC. With a triple-tap, you can put the whole house into “Away” mode, which turns all the lights and music off, turns appliances and devices off, and adjusts the temperature – all to save energy and money. 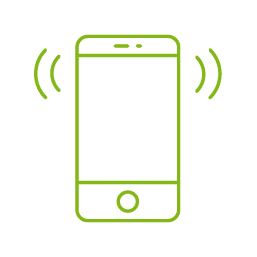 Be notified on your smartphone of factors influencing the climate of your home, like if you’ve left a window open. Harness the warmth of the sun to heat rooms in your home at no cost. 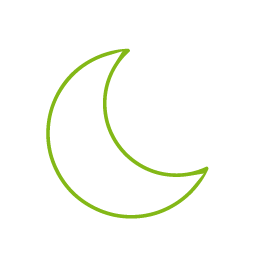 With the triple-tap of a switch, you can put your whole house into a night mode that saves energy. 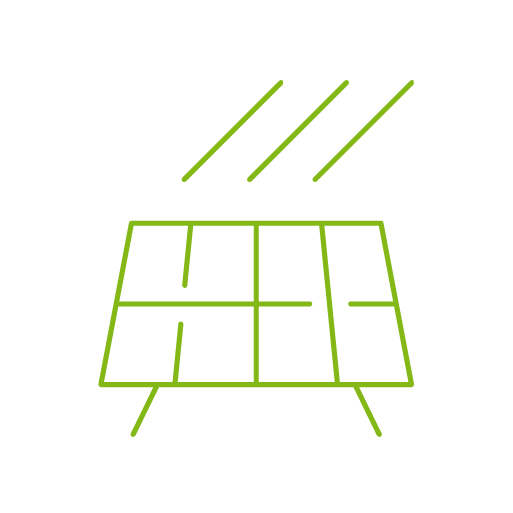 Integrate your PV system into your Loxone Smart Home via the inverter and make the most of the energy produced. 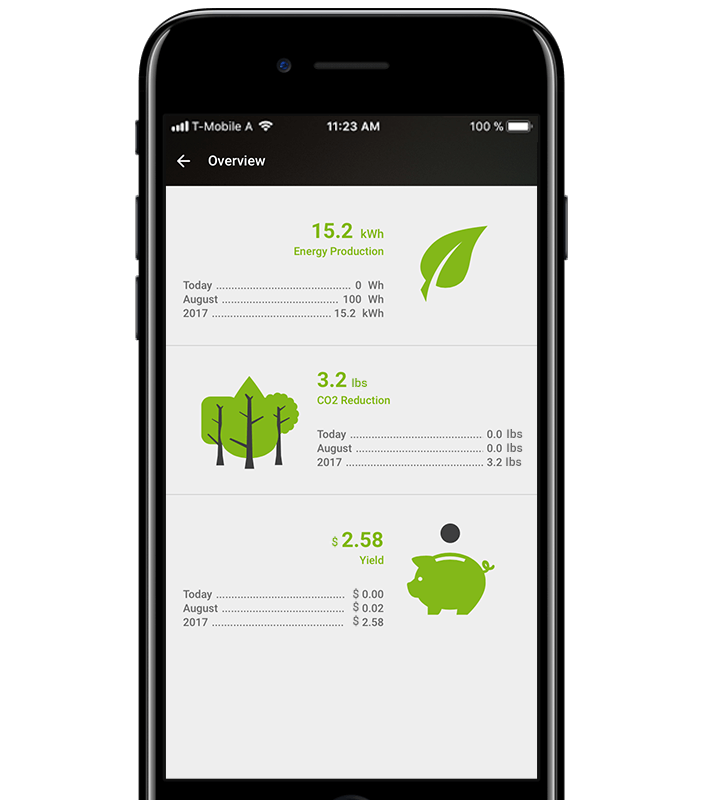 In a Loxone Smart Home you can monitor the energy consumption. Realize your intelligent Damper Control and save heating and cooling costs via damper control. When you are out for the day or on vacation, your home automatically switches to an energy-saving mode for temperature, lighting and devices around the home. 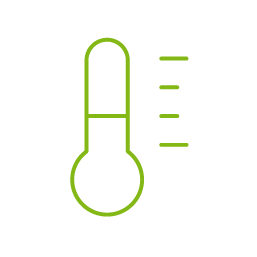 Your smart home keeps the temperature constant, not only to keep you and your guests comfortable, but for energy-efficiency. 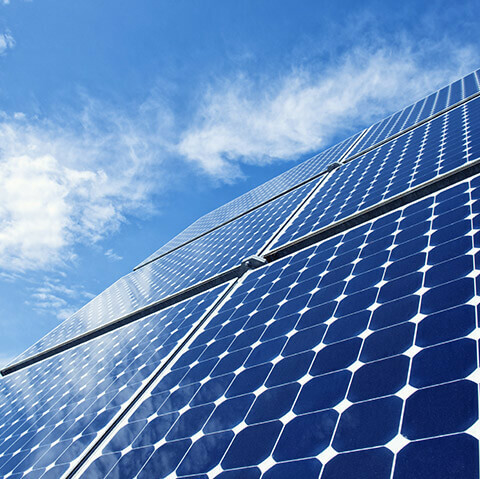 For those looking to get the most out of the energy their home is producing, your home can tell you once a certain level of energy has been harnessed through PV. 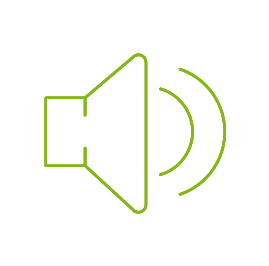 In a Loxone Smart Home, all of the components work together – from the music to the blinds – creating a more comfortable, energy-efficient space for you and your family.